Manor Mills Shopping Centre in Maynooth, Co Kildare, prefunded in 2005 by a Davy syndicate for around €48m, is back on the market at a knockdown price of €13.4m. 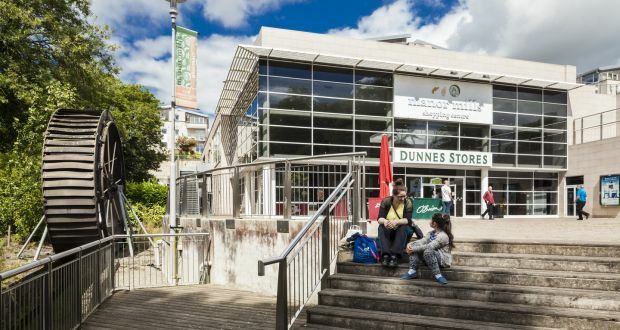 Clive Roche of selling agents DTZ Sherry FitzGerald is predicting “competitive bidding” for the centre, which is anchored by Dunnes Stores and has a net operating income of over €1,229,000 per annum. A new owner can bank on an initial yield of at least 8.77% once standard purchasing costs of 4.46% are taken into account. The Manor Mills’ 26 shops, four kiosks and a restaurant extend to 10,851 sq.m (116,803 sq.ft) and are attracting a weekly footfall of at least 50,000, largely because of its convenient location in the town centre next to St Patrick’s College and Maynooth University. Dunnes Stores owns its own 6,675 sq.m (71,856 sq.ft) supermarket and department store and trades alongside Elverys, Hickey’s Pharmacy, Eason, Tiger, Vodafone, Carraig Donn, Mexx and Holland & Barrett. The centre has a weighted average unexpired lease term of over 8.6 years, with scope to increase the rental income in the short term. The next owner might well decide to introduce parking charges in the 500-space basement car park, now that the Kildare County Council has announced its intention to charge for on-street parking in Maynooth. Most of the leases are effectively on full repairing and insuring terms through a service-charge system. There are also seven traders paying a base rent and a percentage of their turnover. The centre has a weighted average unexpired lease term to run of over 8.6 years. Clive Roche says the sale will give investors“an opportunity to acquire a well-secured, high-yielding retail investment in an expanding town with the potential to further grow income returns via the implementation of a number of asset-management opportunities”. Four years ago, six units extending to 2,350 sq.m (12,400 sq.ft), mainly on the first floor and intended for use as a bar and gym, were sold Kildare vocational education committee for use as an educational centre. The sale was worth €1.5 million to the centre owners. More than 200 apartments developed alongside the shopping centre were sold around the same time that the retail facilities opened for business in October 2005. Developers Laing O’Rourke sold the shopping centre to the Davy syndicate. The opening of Manor Mills allowed Dunnes Stores to go head-to-head once again with Tesco, which had developed a supermarket on the edge of Maynooth five years earlier. Tesco subsequently acquired an adjoining 10 acres formerly used as a cattle market, where it developed a substantially larger supermarket, as well as a range of other stores, in what is now known as Carton Park. The other traders include An Post, Conroy’s Pharmacy, Heatons, McDonald’s, Boots and Next Children.